Serbian Grandmaster Bojan Vuckovic clinched a victory at the first Balkan Chess Grand Prix, which was held on 10-17th January in Pleven, Bulgaria. He took an early lead, and scored three wins with six draws to finish clear first, half a point ahead of the 2nd seed GM Constantin Lupulescu, IM Momchil Nikolov and famous fighter GM Nikola Sedlak. The Grand Prix winner admitted that the tournament was very strong and playing schedule difficult, and he was mostly able to make a difference only in deep endgames. The players from BIH, Montenegro, Serbia, Romania and Bulgaria were nominated by their respective chess federations or qualified from the constituting open tournaments – Sarajevo, Iasi, Obrenovac and Cetinje. 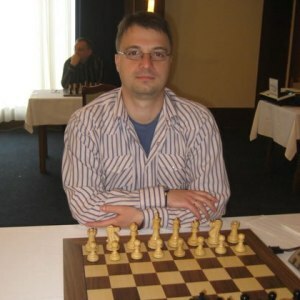 Ten players competed in a round-robin tournament, composing a field of the average elo 2543, or 12th FIDE category. The prize fund was 7000 EUR.